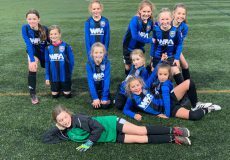 Find out more about Team WFA. What is completely unique about the coaching staff at WFA is that almost every single one of them trained at WFA as a child. They all went on to play for Wilmslow Town and then came back to WFA to coach. All our coaches are CRB checked and training to use AED’s. Erik is a life-long Manchester United fan and the founder of WFA. An FA qualified coach, Erik works with all the age groups at the Academy and has worked with the Manchester City and Manchester United Junior Academies. He is now a senior scout for Manchester City and its Erik’s ambition to see another WFA Graduate play in the premiership one day. Erik is also the chairman and founder of Wilmslow Town Football Club. He is the Team Coordinator responsible for the welfare and development of all the junior teams at Wilmslow Town from the under 7’s to the under 18’s squads. Pete is currently playing for Hyde United as a striker and has made over 100 appearances for the Tigers. Pete is WFA through and Through as he attended the very first session we ever held in 2001 as a little 5 year old starting out in the world of football where Erik was his coach. An extremely gifted and popular coach, Pete has had spells at Manchester United and Rochdale and is now Assistant Head Coach at WFA. Parents and players alike love Pete’s strict but fun approach to coaching. He’s also responsible for organising our u7 and u8 games with other clubs around the area. Nick started with WFA on works experience from Wilmslow High and liked it so much he decided he wanted to stay with us! He’s a man of few words but the kids love him and he has established himself as a very good junior coach. Nick’s primary role is to look after the Little Strikers section of WFA although he coaches all the age groups at afterschool clubs and age appropriate sessions. He plays for Egerton as a full back and is very popular with our young players. Nick has a quieter approach to coaching but gets his point across to our players non the less. 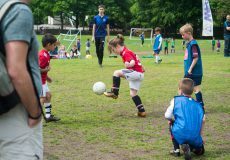 He specialises in coaching pre-school and reception to year 3 players. One of the best lady footballers in the area. Amy is a midfield powerhouse with Crewe Alex Ladies. Amy is a key player in developing the girls section at WFA and coaches the popular Thursday sessions at Ashdene for our Lionesses. She is aiming to carve out a career in sport once she graduates as either a professional player, a sports teacher or coach. Amy is another coach that graduated through the WFA system when she was younger. 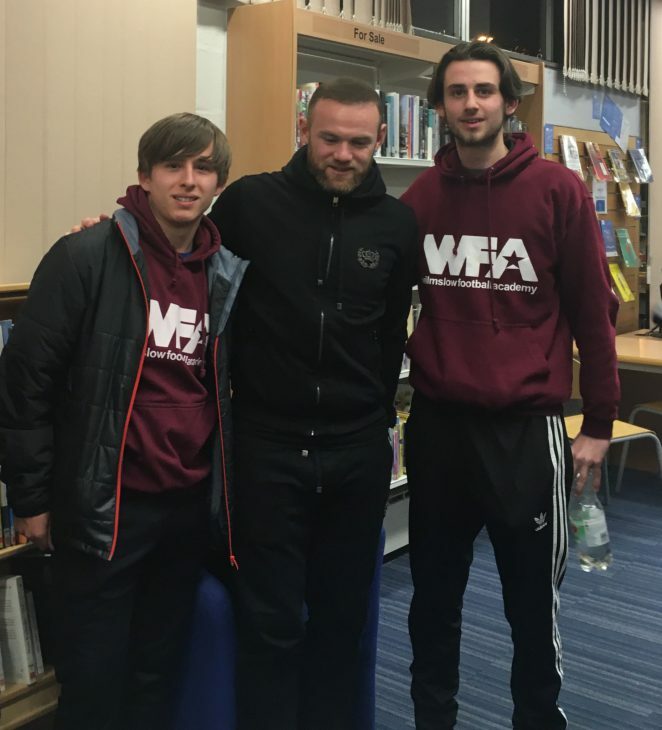 Will has been with WFA since he was 6 years old, leaving to play for Wilmslow Town FC where still plays now for one of the senior teams and is now back with us as coach. He is a very well respected coach working at several afterschool clubs and Saturdays at Gorsey Bank. You’ll also see Will hosting our party’s! Like Amy, Em is very accomplished player in the ladies game. She was once on the books at Manchester City Ladies but a serious knee injury meant she spent almost a year out of the game. She currently plays for Curzon Ashton Ladies. Em is also a graduate of WFA and is hoping to carve out a career in sport once she graduates from Uni. One of our youngest coaches but definitely one of the best up and coming coaches around. Joel brings his own brand of coaching having been at WFA from age 5. He takes the keeper training session at 9.15 every Saturday morning too. Joel knows what makes a good coach and he loves to work with the year 1’s. You’ll often see him helping out at the WFA Parties too. Joel plays for Wilmslow Town as tough tackling, no nonsense defender. Its no coincidence then that all the year 1’s at WFA can tackle better than Sergio Ramos! Big Dan is another WFA as a youngster and followed the path of playing for Wilmslow Town FC. He now plays for Curzon Ashton and is one of our newest coaches. 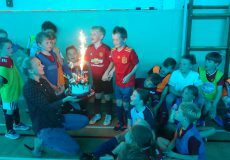 Tom only works at two WFA after school clubs and the kids and parents alike love his no-nonsense approach to coaching. Erik says that with his control over the kids and his ability to coach under any circumstances that he could hold a coaching session in a telephone box with 20 players! Tom plays for Styal FC 1st Team and his approach to coaching is replicated on the pitch! Another of the Gaffer’s sons, Cal is one of our most experienced WFA coaches. He graduated from Leeds Uni in Sports Marketing and Public Relations. Callum is a midfielder for Manchester Gregorian’s. Cal works with JJB teams as well as with the older players on a Saturday and passes on the benefit of his vast experience as a player and coach. Cal also helps in the PR and Marketing of WFA so blame him for any mistakes you find on this website!